I wish I could ramble on about all kinds of races I ran this year, but I can't. I ran 1 half marathon back in January and 2 marathons. Considering all the traveling I did with my hubby in the earlier part of the year, and then moving from Utah to Kentucky in July, I am pleased. The only thing I would change about my running in 2008 is that I would have kept my miles up even after moving. The move was a big one, and it messed with my mind a little, I was nervous to try out a new town and to do it by myself was scary to think about. I eventually started running outside again, but only for my long runs, which I run on Saturdays. Now a little about the three races I ran this year. 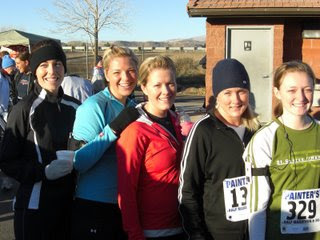 Half Marathon in January with these beautiful ladies. This is a fun, chill, marathon. The weather is always perfect, and the people are just so nice. It was Sarah, Frances', and Amberly's first half. All with great times. 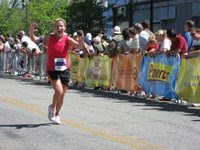 Oct of '07 I qualified for Boston, and ran it in April of this year. First, I have to say, "I LOVE Boston so much". Not just the race but the city too. I loved everything about that trip. However, I had a bit of the stomach bug to start with and so by mile 9 when I stopped to pee, my time started to slow because of some major pain in my belly. I finished A LOT slower (4:15) then my qualifying time (3:27) but I was just happy to be there and took in the entire experience. I can't wait to re qualify so I can try it again, and maybe with a better time. 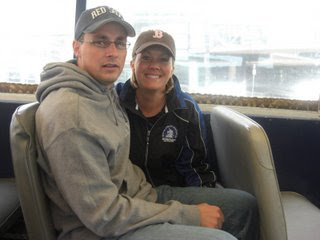 This is me and the Hubs on the Duck tour. I am sporting my coveted Boston '08 jacket. I was able to at least start the race with two of my cousins, (Matt & Laura) who are also from Utah. We had so much fun catching up and touring the city together. They are great peeps. Well, all though it was a small year in regards to races, it was big year for my family. I am just happy we are all healthy and functioning as well as we are after the big move. Happy New Year, and Happy Running. I think 2 marathons and a 1/2 isn't shabby at all! I sure miss my running partner! You may have only run 2, but you are so fast, I am envious. As far as LCFB, its a good little winter race, nothing exciting, but really well run, and they serve hot pizza after. I enjoyed it, and its not as boring as you think, water stations every mile. Small year? Are you kidding me? You ran TWO marathons and a half! That's fantastic! I had a similar situation when I moved last Nov. I didn't keep up with my running for a number of reasons. Of course, my move wasn't nearly as big as yours! But, still I can empathize. Moving out of state is rough. It really messes your routine, etc. I did it twice in 3.5 years. Ugh. But sounds like you're doing really well and did great with the races you ran in 2008. Happy New Year! Janice you inspire me so much!!! Two marathons this year and you are a little disappointed! I think that's pretty amazing. You must have a very athletic family. Mine looks at me like I have two heads with all this running stuff. I didn't know you were a BQ-er. Wow. In the running world, that's just such a big thing (that I would never even dream of). I'm so glad to have you as one of my blog buddies and inspirations. And I have no doubt you'll "kick but" on those 3 lbs. Also, I want to know the story of the tattoo. 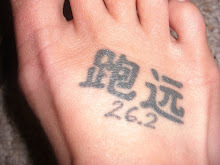 I always said I'd get a tattoo if I ran 26.2. I may have to eat those words. There is definitely no shame in the year you've had. Congratulations! I can't wait to see Boston this year... I won't be running, but supporting a friend, but I am still really looking forward to it. Great year! I think it would be fun to run with family members, but no one else in my family runs. On our way home today from watching the Gator Bowl, my 12 year old asked if he could train to run the Lincoln Half Marathon. GAH! Needless to say I was impressed. Great Year! Sounds like you are on track to jump into 2009 with some major goals... I can't wait to follow your training. Oh Janice, you are amazing. You have accomplished so much! You ran Boston woman! You are my hero! Thanks for the nice words, I am grateful I was able to meet you too. Have a great weekend! 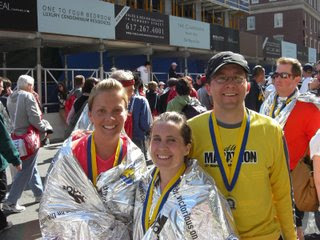 I think two marathons (of one just happens to be Boston) is fantastic! Good for you and here's not another year of running! I lost all the work I did over the summer when we moved in October. It was really hard to start again. I have been reading but not commenting on this blog for awhile now :) I figure I need the inspiration of another runner! Happy New Year, Janice - you are my inspiriation in the new year to get more fit and get into shape! Matt is so glad he got to meet up with you guys in Boston. He had a great time. I wish I could have gone too. Well, I will get my chance. He will be going after a new qualifying time at the St. George Marathon this fall. Want to join us in Boston the spring of '10 or '11? By the by...two marathons and one half should never be looked down on. You are AMAZING!! Janice, Boston was awesome even if we were all a little slower than we hoped. Like Lindy mentioned, I am back on the running bandwagon. 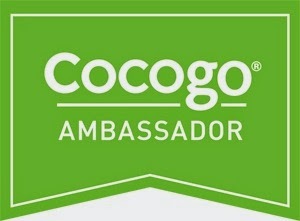 I'm going to run St. George and my goal is to qualify again for Boston. What do you think, Boston in 2010?